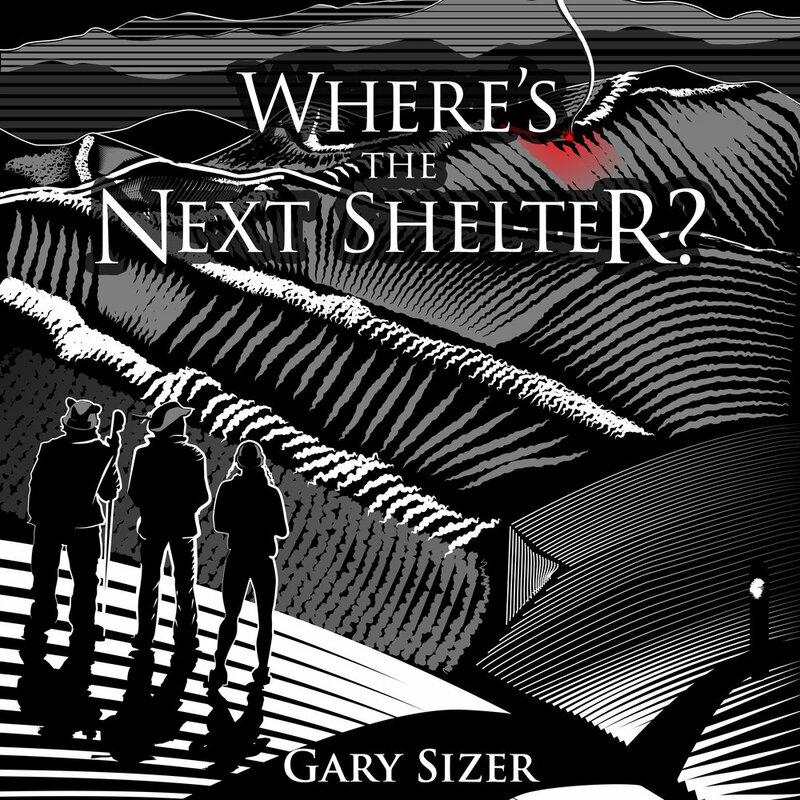 Gary Sizer is an author, a hiker and a speaker. He lives in the mountains of North Carolina where he sometimes records stories for NPR's The Moth. His new book "Home is Forward: Hiking and Travel Adventures from Around the World" is available now in all formats. Where's the Next Shelter? is the true story of three travelers on the Appalachian Trail, a two thousand mile hike that stretches from Georgia to Maine, told from the perspective of Gary Sizer, a seasoned backpacker and former Marine who quickly finds himself humbled by the endeavor. He teams up with Megan, a sassy college grad whose indomitable spirit eclipses her lack of experience, and Lemmy, a cartoonist from overseas whose off-kilter commentary on the wonders and frustrations of the trail keeps everyone laughing. Sprawling through the woods and towns of the Appalachian mountains, the trail carries the trio through real and fanciful ups and downs ranging from hilarious to perilous. Much more than an orderly account of mountain tops and meals, it is an adventure about friends figuring things out as they go. It's about screw-ups and solutions, awe and inspiration. If you long for the horizon, or to sleep under the stars, then come along for the hike of a lifetime. All you have to do is take the first step. "TRAILS? WHERE WE'RE GOING WE WON'T NEED TRAILS!" ... Home Is Forward takes readers on a series of adventures through stunning landscapes populated by vivid characters, all rendered in the author's wry humor. Slogging through Marine boot camp, going AWOL cross-country to visit his girlfriend, kayaking through dangerous rapids, hiking beyond the edge of civilization through the fjords of Newfoundland and the ruins at Machu Picchu to the Northern Lights in Iceland — little by little, Gary surrenders to the inner voice that tells him he must keep moving. All the while, in between the laughter — and there's a lot of it — his stories help us reflect on our own journeys, and how important it is to enjoy the scenery. Gary Sizer was born in New Castle, Pa. Years of military service and software consulting fed his passion for travel, which he chronicles in his latest book, Home is Forward. 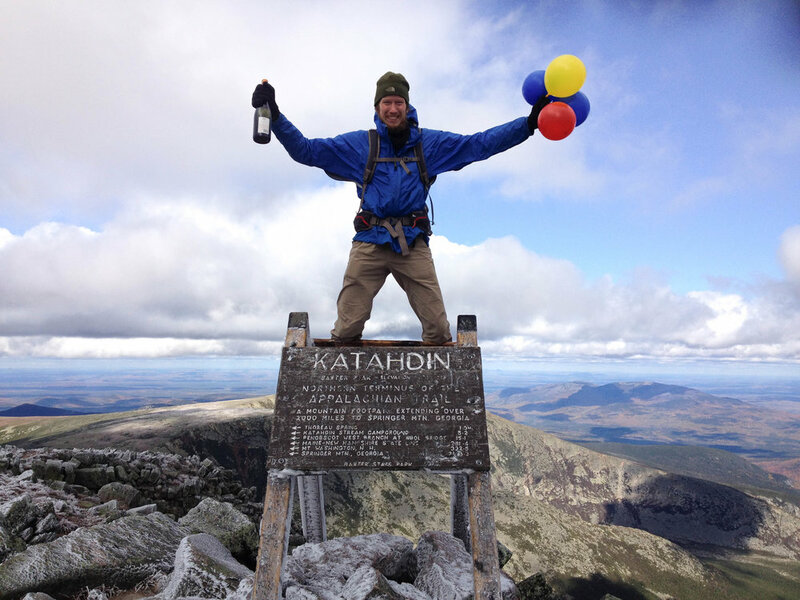 After walking the Appalachian Trail in 2014, his before and after pictures went viral, and since then millions of people have seen him in his underpants. Now Gary hikes and lives in the hills near Asheville, N.C., where he occasionally records stories for NPR's The Moth.